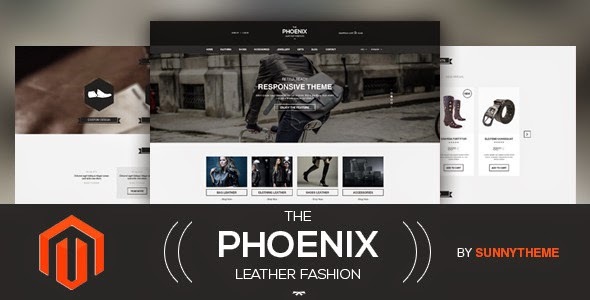 The Phoenix is a Premium Responsive Magento Theme. A super neat design, it has black&white style . If you want to have a very unique and attractive design and trying to make your way among numerous store owners, The Phoenix is a great starting point for you. The Phoenix with powerful features, easy to customize, power admin, cool effect. Item Reviewed: The Phoenix Magento Responsive Theme 9 out of 10 based on 10 ratings. 9 user reviews.